As you start down into the valley of the Klondyke-Aravipa Canyon area in southeastern Arizona, you have the feeling of entering the last frontier in Arizona. The harsh rocky Santa Teresa Mountains rise to the north and the dark, rugged Galiuro Mountains loom to the south. This prickly-pear desert of Graham County, Arizona, covered with mesquite thickets, rattlesnakes, and surrounded by rough, rocky mountains, is where Richard and Karen Holcomb run their 200 head commercial cow/calf herd on 20,000 acres of private land and state land leases. 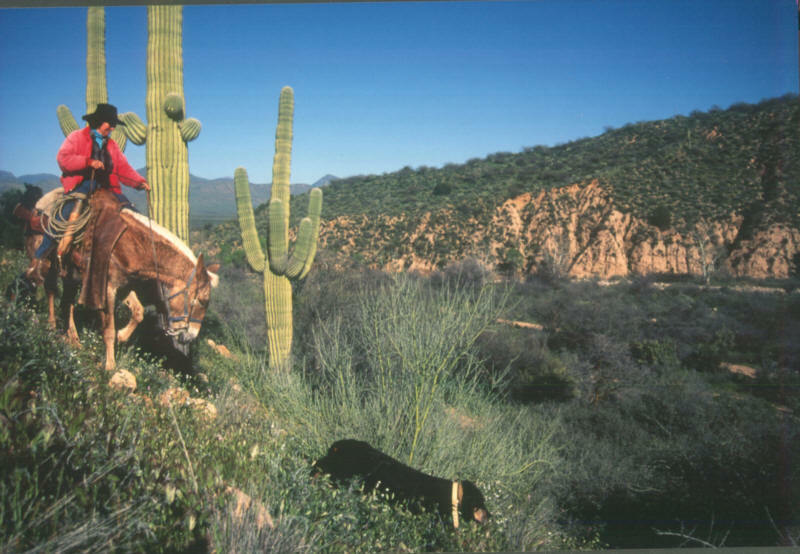 These adventurous people moved to the Arizona desert country from northeastern Nevada in 1998 to buy a desert cow outfit and to hunt mountain lions with their hounds. 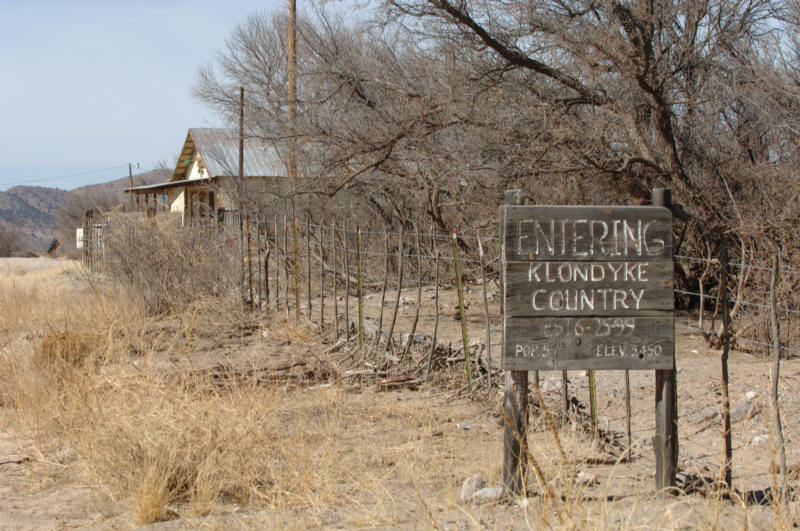 The town site of Klondyke, several miles down Aravipa Creek from the Holcomb ranch, was settled in 1900 after lead and silver ore was found in the surrounding hills. At its peak, Klondyke was home to over 500 people. The ore played out, the Klondyke store and post office closed, and most of the miners drifted away. Today, only a handful of hardy souls working for the Nature Conservancy and cattle ranchers remain in this remote Klondyke-Aravipa Creek desert valley. The mail only comes twice a week from Wilcox, which is over 50 miles away. Carving out a living in this inhospitable country takes a special talent. This environment is not for amateurs. 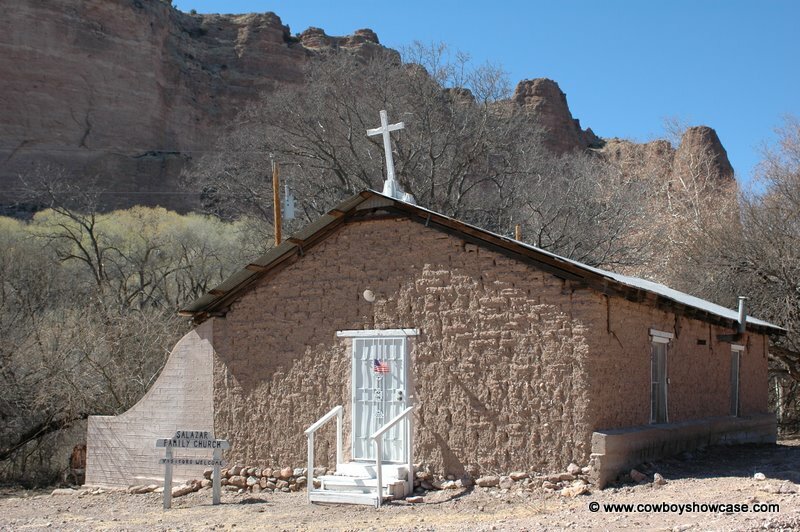 People who want to live here must be able to adapt to this harsh remote Arizona desert. The Holcombs have spent their lives honing their skills in ranching, outfitting, and following lion-hunting hounds on their mules and horses in some of the roughest country in the west. Richard grew up near Springer, New Mexico. He punched cows and hunted lions throughout New Mexico and Arizona. He also spent several years working in Nevada as a professional U S Government mountain lion hunter removing livestock-killing mountain lions. 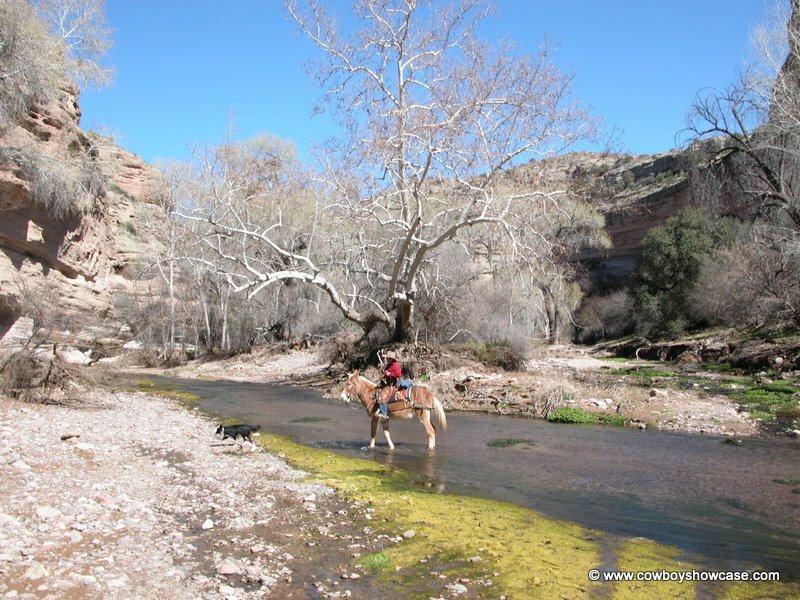 Karen spent her early years on the Blue River along the New Mexico/Arizona line in rugged Northeastern Arizona. 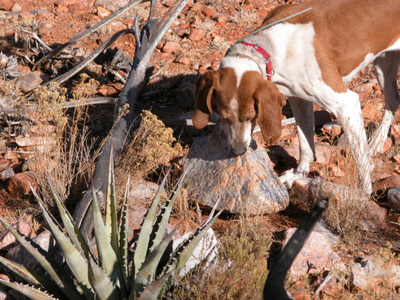 She learned about mountain lion habits, lion dogs and guiding paid clients from the Lee Brothers who were famous southwestern professional mountain lion and bear hunters. 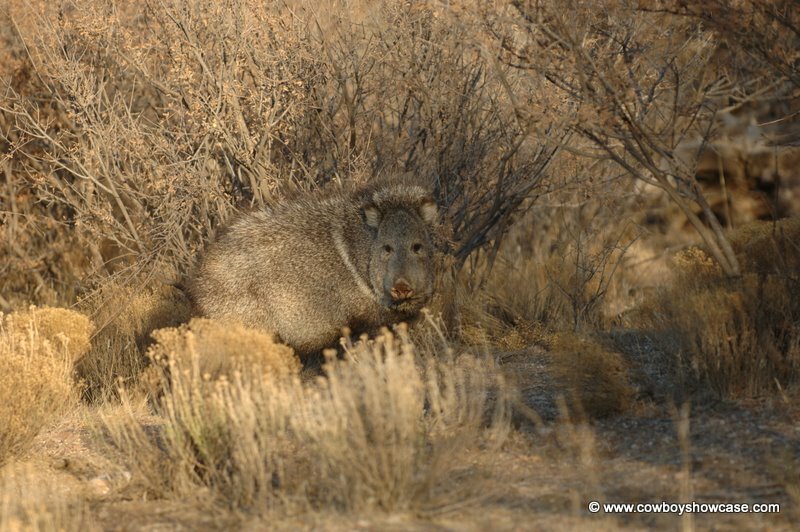 She also spent many years in Utah and Nevada as a professional outfitter and guide. 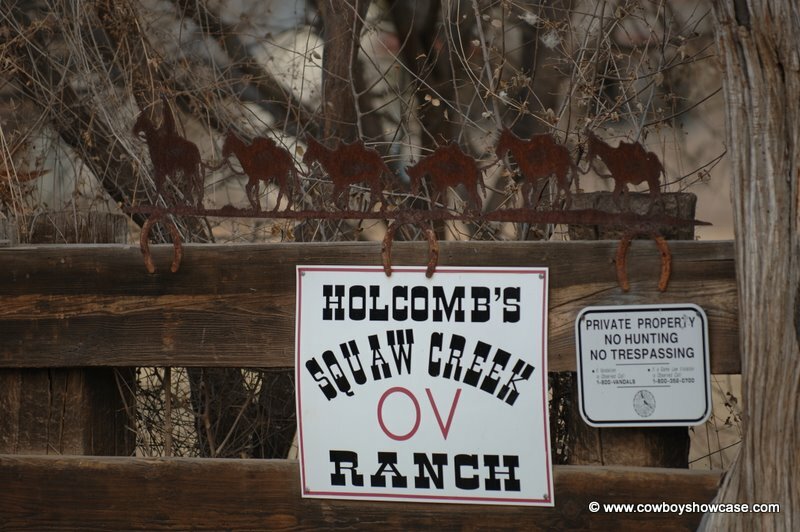 For the first 8 years they were at Squaw Creek Ranch, the Holcombs took out paid clients on guided mountain lion hunts to help pay the bills for the ranch. Finally they just got too busy with the cow work to take paid hunters. 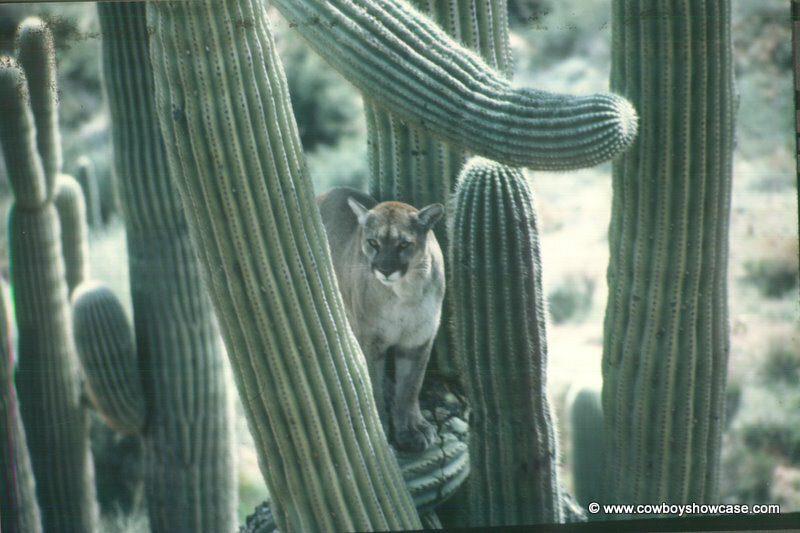 Today they hunt mountain lions for themselves and to help neighboring ranchers when the ranches experience mountain lion depredation on their range calves. At times, mountain lions can be very destructive by killing calves. As soon as a mountain lion kill is found on domestic livestock, Richard and Karen will be on the lion’s trail with their lion hounds. 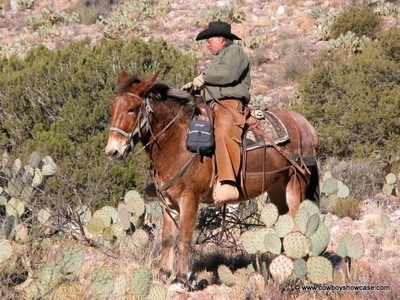 Richard says, “We use both horses and mules for our cow work. Mules are quiet–minded, surefooted and less likely to fall and get you hurt. 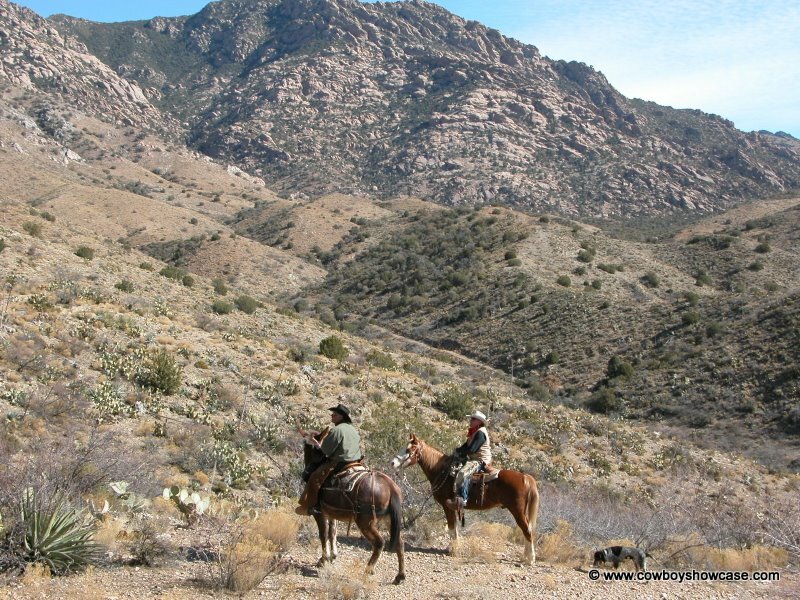 We liked to use mules for our clients to ride when we took paying lion hunters because in this rugged desert mountain terrain, some horses might get our clients in trouble. We depended on the mules to take care of them and they did. A good riding mule that can handle this rough country is hard to find. When you do find one, they are going to cost lots of money. 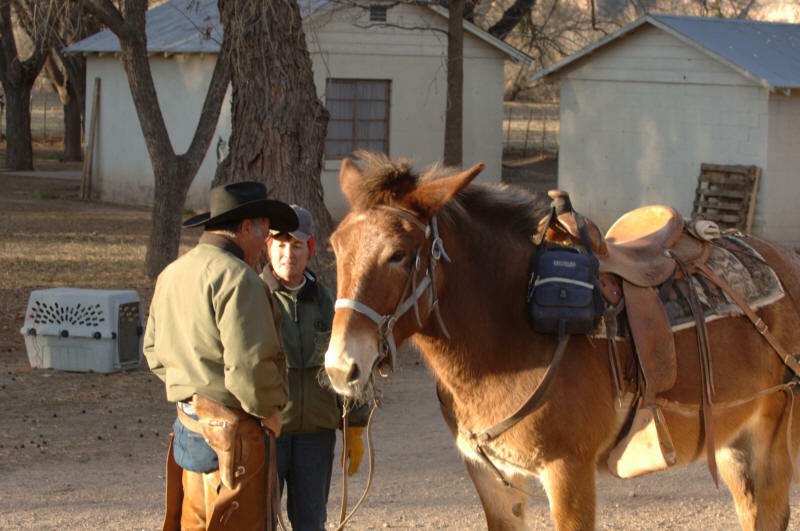 “Our ranch horses come from a variety of places. We use all geldings on our ranch. We don’t breed horses. We buy them. We don’t care if a horse has papers. 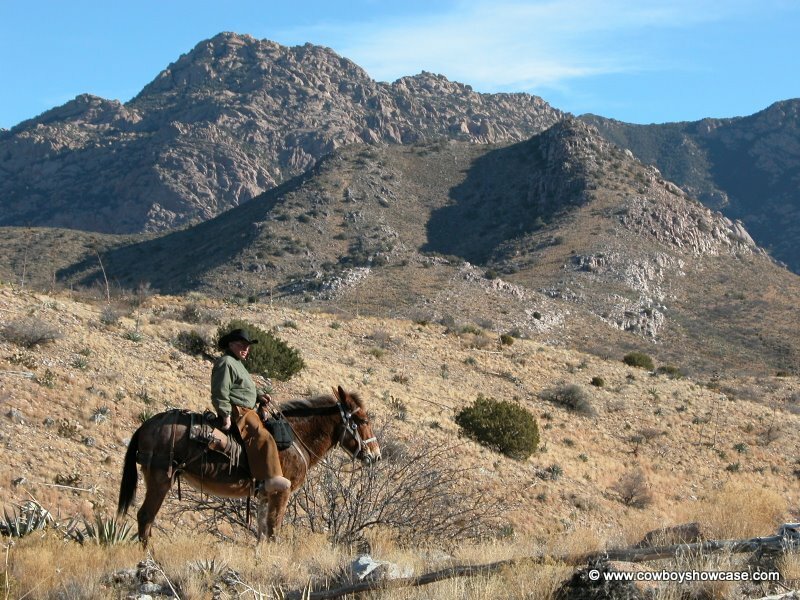 The kind of horse we need has to be able to handle rough country, watch a cow, hold a rope, travel in the rocks and prickly pear cactus, be gentle, and still get the job done. 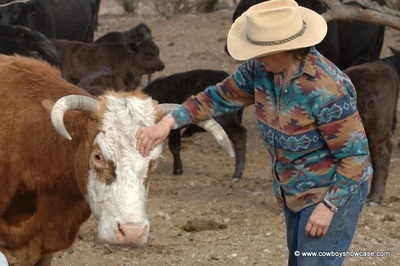 One cow horse Karen uses now was given to her by some people who couldn’t keep it anymore. “When we get a new horse, we turn it loose in our horse and mule pasture that is full of rocks, prickly pear cactus, and snakes so they can learn to negotiate the terrain on their own without pressure. Sometimes it takes a year or more for the horses and mules to really figure out how to travel this country and learn to find water. The young horse I am riding now came from a ranch in Northern New Mexico. We bought him as two-year old and we turned him out in the rocky horse pasture for a year before we used him in ranch work. 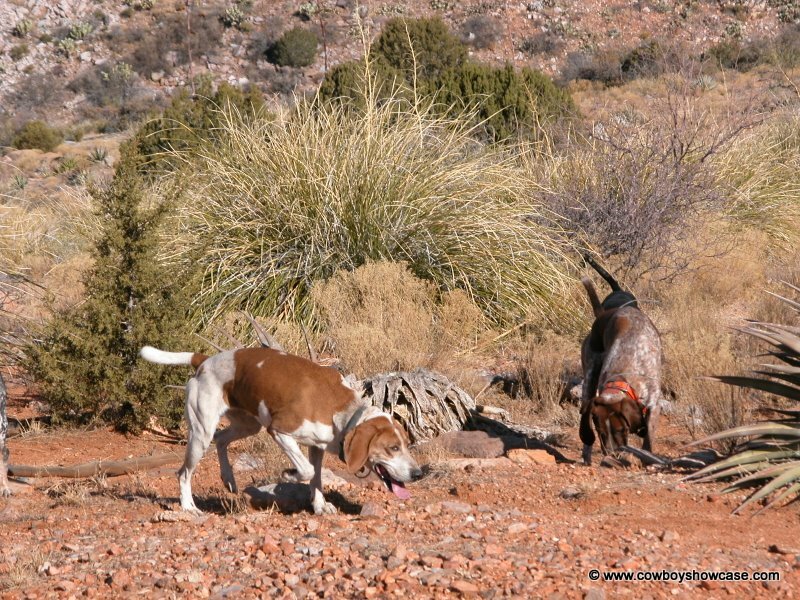 When we use the horses or mules while lion hunting, many times they have to be able to trail after the hunting hounds in extremely rough country. The country is often more difficult than where the cattle are located. Horses and mules need to be hobble broke because many times they are left alone while we follow the lion dogs on foot. The terrain can be so tough that you are unable to ride to the spot where the lion is treed by the hounds. 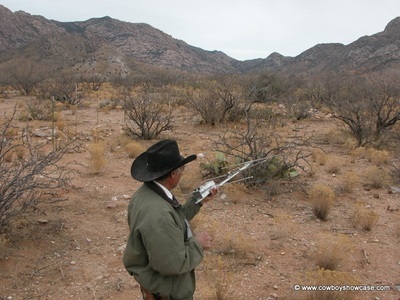 Richard went on to explain the water pipeline projects for their cattle; “Desert cattle require a lot of water during the hot summer months. Their water intake doubles when temperatures increase from 50 degrees to 95 degrees. 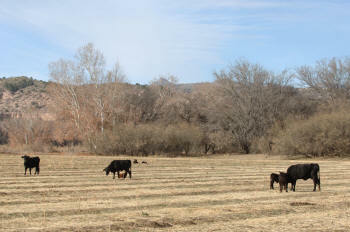 Cows and Bulls need 15 to 20 gallons of water per day. 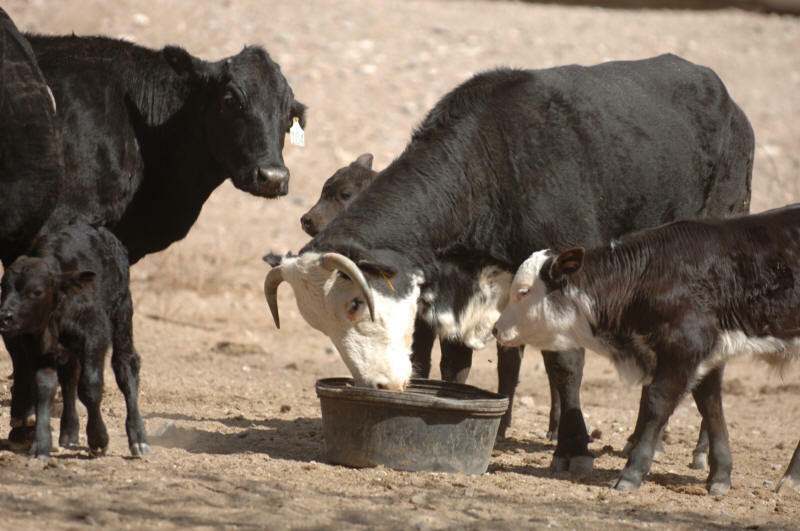 Calves need from 8 to 10 gallons. Plenty of water for livestock and wildlife is critical in this country. 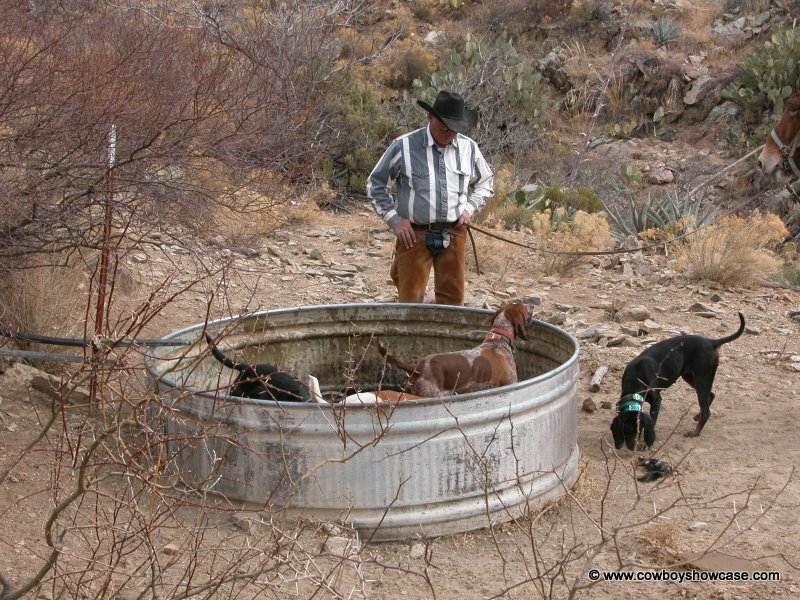 We obtained cost-sharing funding help for stock water and wildlife developments from the Arizona State Fish and Game and the Federal Natural Resources Conversation Service. 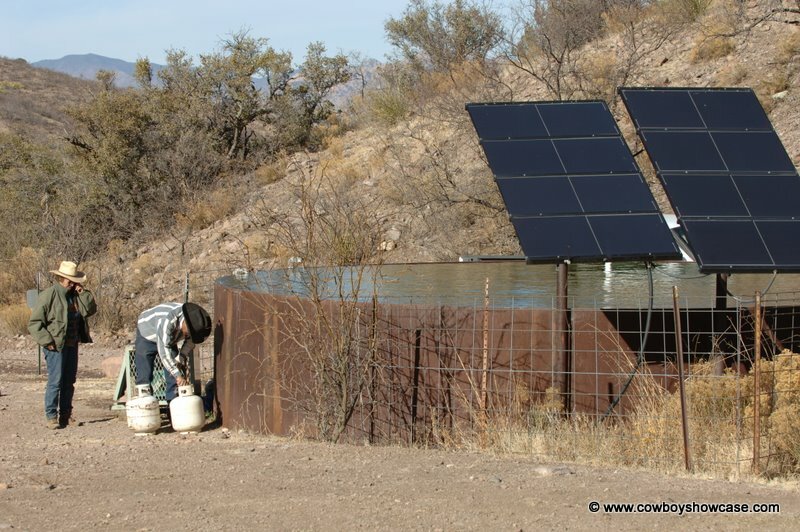 We pump water from deep wells with propane or solar powered pumps and store it in large steel storage tanks. 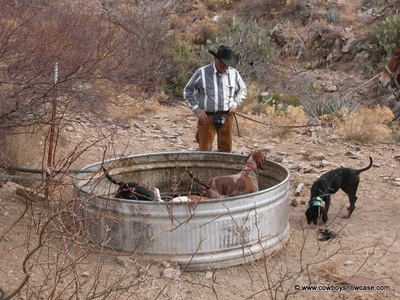 We have run miles of water pipelines from these wells to areas that had good feed but no water. This program has been a great benefit to our cattle program and also provides water for wildlife in these previously dry areas. 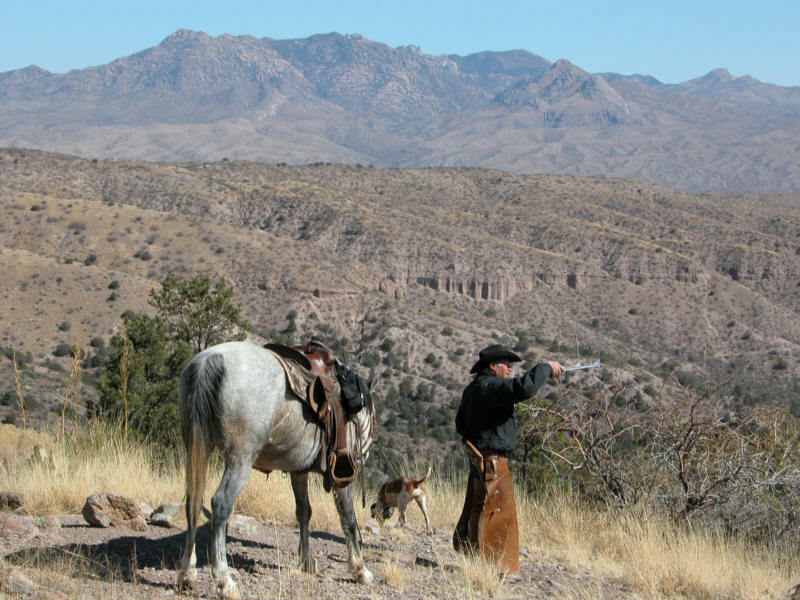 In exchange for waterline help from Arizona State Fish and Game, we opened up areas for hunter access on our ranch that were formerly not available to Arizona hunters. This is a win-win situation for all parties involved. 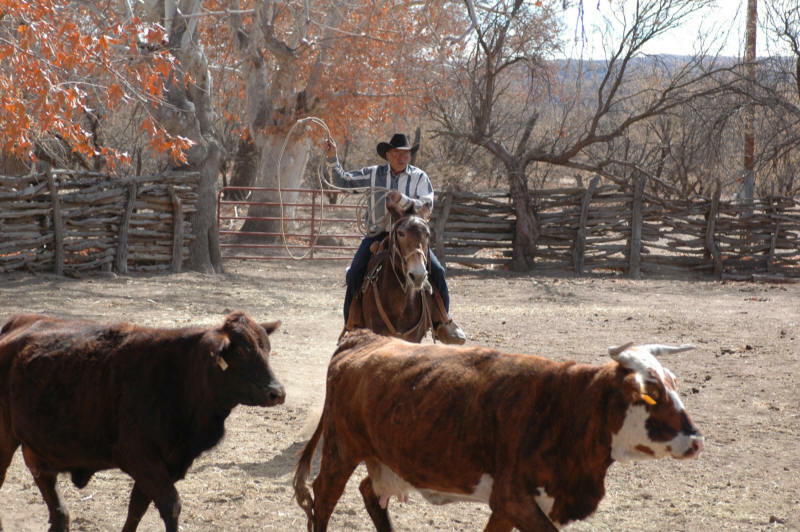 Handling cattle in this rugged country takes a special livestock talent. 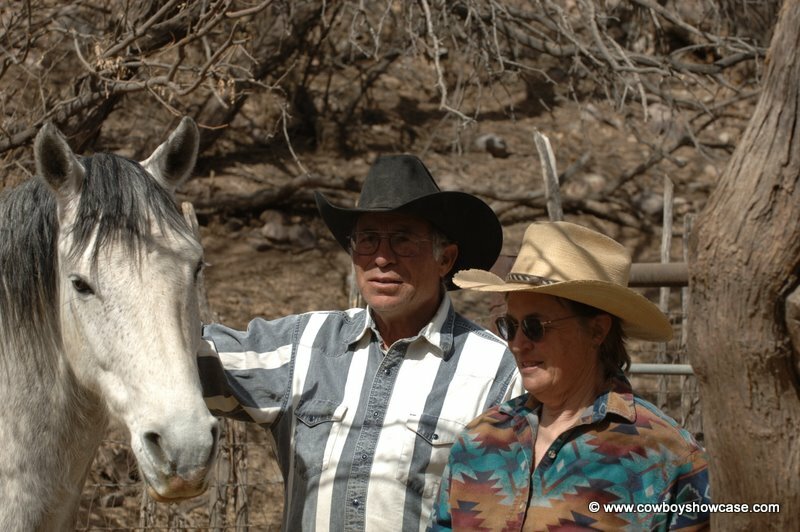 Richard explained, “To handle cattle in this rough and brushy country, we ride on our cattle often and handle them in quiet way so that they do not get ‘spoiled’ and want to run off when they see us horseback. If this type of crossbred desert cattle are ‘cowboyed’ or ‘dogged’ too much, they become almost impossible to gather and we do not want that to happen. We use cow dogs for moving and gathering cattle from the mesquite thickets. Good cow dogs are very important. We have two or three at any given time, but we don’t raise them ourselves. We buy well-bred pups from breeders that have dogs that go back to Trayer Hangin’ Tree Dogs and then we train them. Post Script: regrettably, Karen Holcomb passed away in 2013.